Arrow of Time is a short moving image piece created through the concept of exquisite corpse with the theme of different types of paths and the definition of “time’s arrow” coined by physicist Arthur Eddington in The Nature of the Physical World in 1928. The piece originated with a poem inspired by Eddington’s theory and the approaching departure of two friends and local filmmakers, Kevin Vanscoder and Stacie Sells. The poem and eventually the piece is a thought provoking look at the paths we choose to follow, the paths we ignore and the questions we ask when making these decisions. 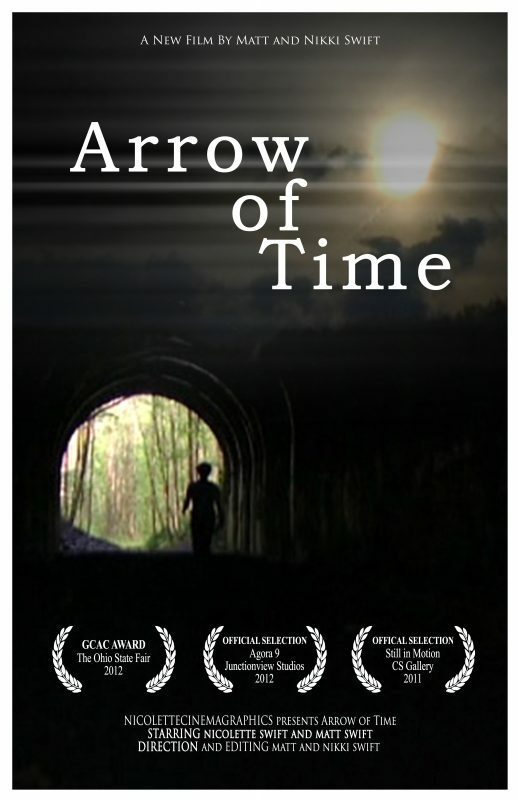 Arrow of Time was shot, edited and narrated by Matt and Nikki Swift with musical support from Jay Rivers.